George Washington: first President of the United States, father of his country, crosser of the Delaware, and descendant of Odin. This, at least, was the claim put forward by the late nineteenth-century genealogist Albert Welles. In the floridly titled, four-hundred-page tome The Pedigree and History of the Washington Family Derived from Odin, the Founder of Scandinavia. B.C. 70, Involving a Period of Eighteen Centuries, and Including Fifty-Five Generations, Down to General George Washington, First President of the United States (1879), Welles created a family tree for Washington of truly mythical proportions, and one which shows just how useful nineteenth-century Americans found the Middle Ages to be when it came to shaping their understandings of their country’s origins. Welles stopped short of claiming that Washington was of semi-divine ancestry — likely because of his own devout Christianity. He therefore took his cue from the thirteenth-century Icelandic author and fellow Christian, Snorri Sturluson, who had proposed that Odin and the other Norse gods of his ancestors should be understood merely as venerated, mythologized versions of particularly successful war leaders. This meant that Odin was not the god of healing and death and the foremost of the Æsir, or Norse pantheon. He was instead a flesh-and-blood man who had lived almost two thousand years ago, ruling over a Turkic people in central Asia called the Aesir. Over time, Odin’s conquests took him further and further west until he finally settled in Scandinavia and declared himself king of all its peoples in the early first century BCE. Welles sniffed that previous historians had not come to this very obvious conclusion because they — unlike him — were “unable to separate the real from the mythological history”. Welles was not the first to trace a lineage back to Odin. 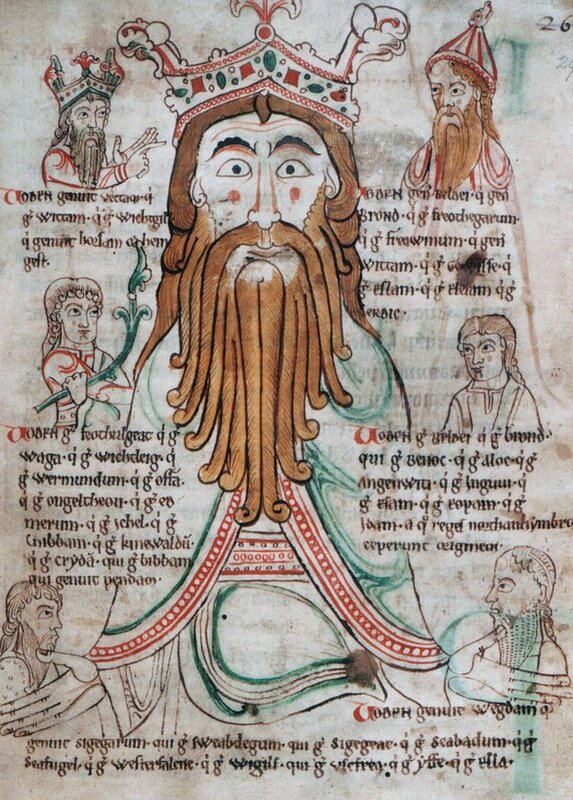 This image from the 12th-century Libellus de primo Saxonum uel Normannorum adventu shows Odin crowned as ancestral king of the Anglo-Saxons. The text describes the royal lineages of the kingdoms of Kent, Mercia, Deira, Bernicia and Wessex respectively, each claiming descent (and so also the right to rule) from the mythical figure turned king — Source. Yet Welles was keen to engage in some myth-making of his own, stressing the similarities between the Odin he conjured up and George Washington. Though separated by eighteen centuries — and though no one knows what even a human Odin might have looked like — Welles writes that both men were of “wild, massive, manly” stock. If Odin, the first king of a united Scandinavia, were “the Mars as well as the Mohammed” of the region, then surely the first president of the United States had to hold a similarly elevated position. From Odin, Welles traced thirty-two generations of descent down to about the year 1000 which encompassed figures both historical and legendary. In doing so, he gave George Washington further links — which even allowing for their fictional status were sometimes highly tenuous or collateral — to people like the Viking king Ragnar Lodbrok, or the brothers Hengist and Horsa who purportedly led the Anglo-Saxon invasion of Britain in the fifth century. 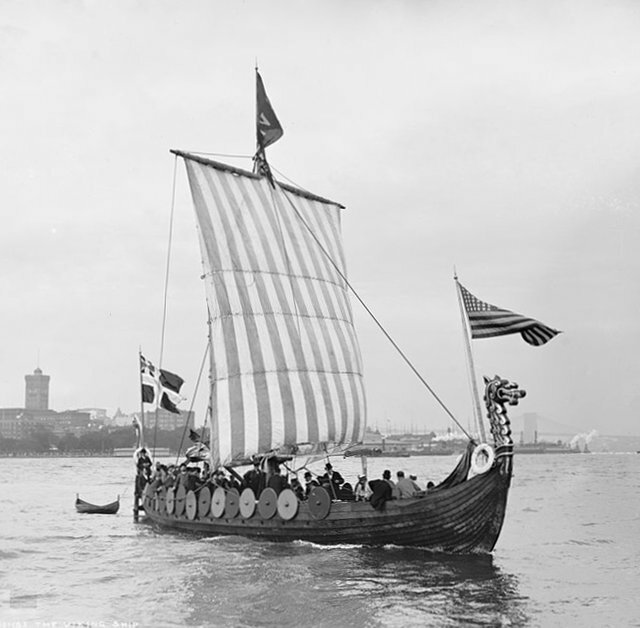 Welles also claimed that Washington was related to the eleventh-century Icelandic explorers Thorfinn Karlsefni and his wife Gudrid Thorbjarnardóttir, who sailed across the Atlantic to Greenland and Vinland, the coastal region of eastern America which was briefly colonized by the Vikings. There, Thorfinn and Gudrid had a son, Snorri — the first known child of European parentage to be born in the Americas, long before Martín de Argüelles or Virginia Dare in the sixteenth century. Ragnar, Hengist, Horsa, Thorfinn, Gudrid, Snorri: these are all tangential figures in Welles’ imagined Washington family tree. But by taking the time to include brief biographies of them, and by linking them to George Washington, Welles was in a sense extending Euro-American history back into the far past. Rather than a nation which could trace its origins back only a hundred years or so from the time of Welles’ writing, or a continent whose colonization could be traced back to the voyages of an Italian Catholic, Anglo-American Protestants were cast as heirs to a long northern European tradition of exploration, conquest, and colonization. Even America’s grand democratic experiment had a medieval Scandinavian ancestry, in Welles’ eyes. He conceded that the Washingtons of the fifteenth century may have taken opposite sides during the Wars of the Roses, but wrote that he attached “no credence to reports of the Cavalier sentiments of the Washington family”. In other words, it was impossible that any ancestor of George Washington could have harbored royalist as opposed to republican sympathies during the English Civil War of the seventeenth century, because no member of the extended Washington clan could ever display a love of “power without principle”. The Washingtons were, after all, almost entirely of Germanic descent — untainted by the continental European influences of Norman blood — and throughout the centuries, “Saxon opposition to the Norman rule in England took the form of liberalism”. Albert Welles wrote in an America whose aesthetic and moral sensibilities were informed to a great extent by medievalism. The Gothic-revival churches which were springing up across America were thought to be representative of an authentic “Teutonic” style, modified by civilizing Protestant influence. Mass-market consumer products married nineteenth-century inventions with often wildly inauthentic “Gothic” flourishes. In 1876, Henry Brooks Adams — a grandson and great-grandson of American presidents — published the first academic history of medieval Europe to be produced in the United States. Architecture, home decor, textbooks, and lecture series: they all promoted the idea of the European Middle Ages as a time of white racial purity and valor. George Washington himself seems not to have been unduly interested in the intricacies of his own lineage beyond his immediate family, writing in a letter that “this [his family tree] is a subject to which I confess I have paid very little attention”.1 It does not seem that he spent much time contemplating who his ancestors in the Middle Ages might have been. And yet he made copious use of a very medieval symbol: the Washington family coat of arms, which dates back to at least the fourteenth century. He emblazoned it on his personal seals, silverware, bookplates, the interior of his home at Mount Vernon — in 1790, Washington even had it added to the doors of his personal carriage. In fact, it took until the early twentieth century for Welles’ work to gain any traction at all — and then it was because it suited quite a different set of political needs. The short-lived Northern Review: A Cultural Magazine for the Northwest was published in Minneapolis during the First World War. Unsurprisingly, given the ethnic heritage of a large proportion of Minnesota’s population, the magazine took a distinctly pro-German stance about the conflict. In promotional material about the magazine, Germans and Scandinavians were called “Teutonic twin brothers” whose settlement in the Midwest had “made the desert to blossom”. A 1918 issue of the magazine reprinted a summary of The Pedigree and History under the title “Washington: A Scandinavian”. 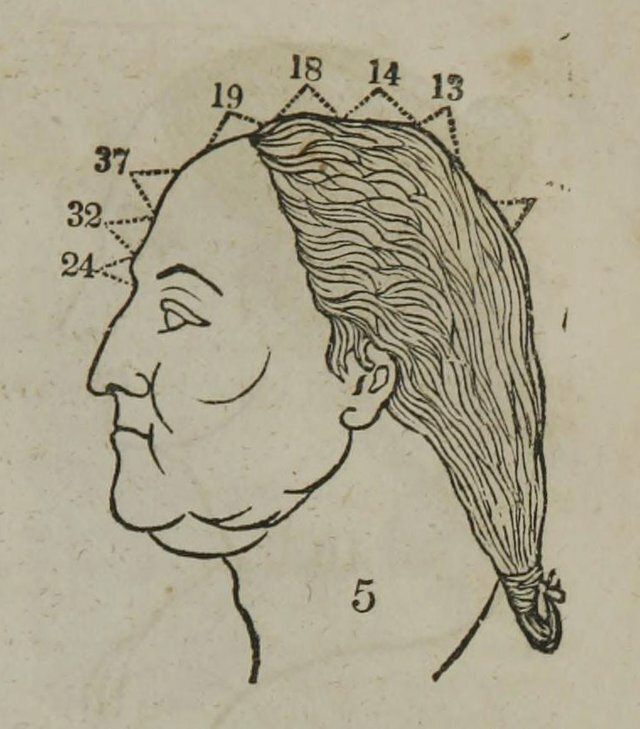 How could he be anything else, the anonymous epilogue to the summary concluded: George Washington’s ancestry was additional proof that his character was clearly that “of the ancient Vikings of the North”. He too believed in the values of independence, liberty, and patriotism and was possessed of a “powerful frame”. The thrust of the article was clear: the peoples of the United States, Germany, and Scandinavia shared a common ancestry and a set of values which should prevent them from going to war with one another. A similar kind of article cropped up in a 1925 issue of the Nordmanns-forbundet (Norsemen’s federation) magazine.3 The goal of this Oslo-published magazine was to encourage cultural and linguistic unity among the Norwegian diaspora, something which was felt to be increasingly necessary amid the heightened nativist environment of the United States in the post-war years. The article’s Norwegian-born American author, Simon Johnson, took Washington’s purported Scandinavian ancestry as fact. 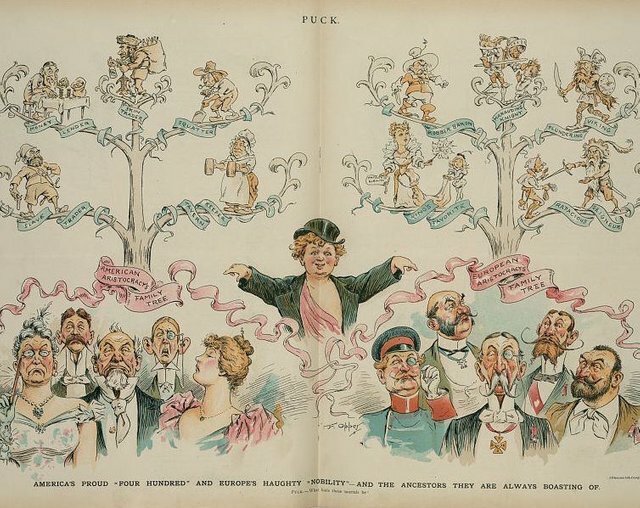 In doing so, Johnson was attempting to promote the idea of Scandinavians — and so Norwegian immigrants — as “true” Americans, something which wasn’t always accepted by other white Americans of nativist inclinations. As for the originator of all of these claims, Albert Welles himself is a rather shadowy figure. He was born in Palmyra, New York in about 1818 to George Wells and Mary Babcock, both natives of Connecticut (the second E in his surname seems to have been a later affectation). In 1844, he married Catherine Beckwith; they swiftly had a daughter, Katharine (b. 1845) and moved to New York City. In his writings, Welles was keen to present himself as a man of letters and leisure, but census information shows that he had a far more prosaic occupation: insurance agent. 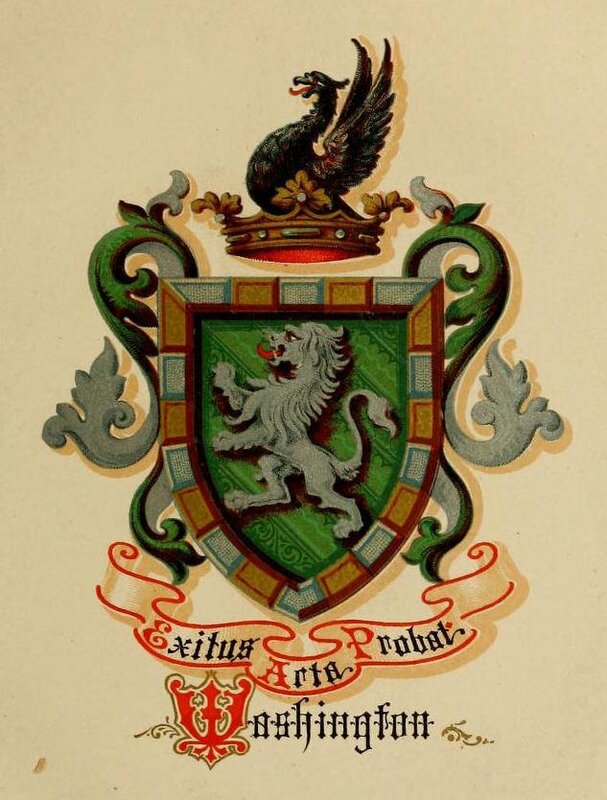 He was a man of some ambition: in 1860, he founded the American College of Heraldry and Genealogical Registry, housed in the New York Society Library. Speaking to the group’s members in 1879, Welles stated that “[t]his institution promises to become one of the most important and popular in the country. 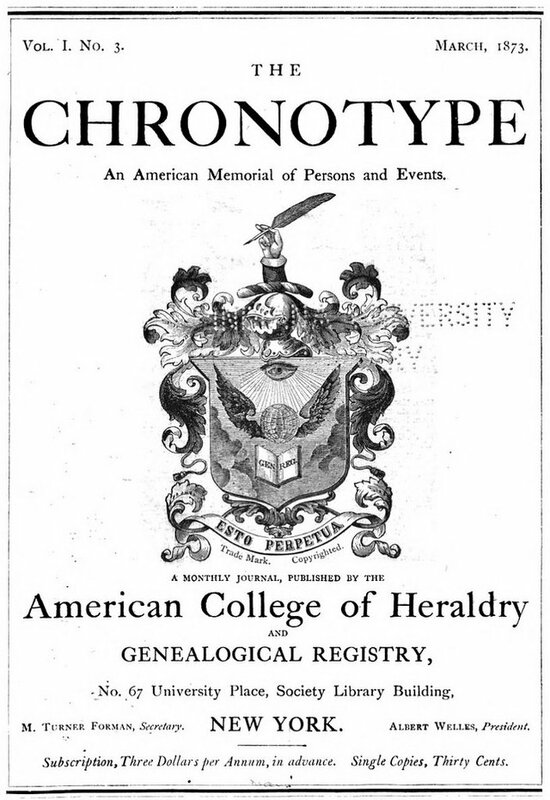 It is destined to become the great depository of Family Registers and Family History.” The ACH briefly published a genealogical magazine with the aim of nationwide circulation, The Chronotype: An American Memorial of Persons and Events (W.H. Whitmore’s verdict on this endeavor was “the mere ravings of a would-be genealogist, full of errors and contradictions.”) Life membership could be obtained for the sum of $50, and members’ family trees were to be entered into the “Domesday Book of New York”. Welles’ hopes for the institution were proved false — the ACH didn’t outlast his death in the early 1880s — but during its brief existence it boasted honorary members including such well-known figures as Senator Hamilton Fish, Secretary of State William Seward, and the romantic poet William Cullen Bryant. As one might imagine, Albert Welles was also interested in his own family’s history. He published History of the Welles Family in England and Normandy (1876), which was riddled with about as many errors as was The Pedigree and History, though he made no claim to quasi-divine heritage. Instead, Welles constructed a family tree — almost entirely inaccurately — that gave him connections to a grab-bag of medieval nobility, including Sir Lionel de Welles, a combatant in the War of the Roses and step-father of Lady Margaret Beaufort; the princely house of Orange; several bishops; and assorted signatories of Magna Carta. Welles could therefore take comfort in the fact that like his hero George Washington, like all proper Americans, he was descended from a medieval lineage full of manly valor and civic virtue. Shortly after Albert Welles’ death in 1883, his books, papers, and correspondence were auctioned off, including “thousands of manuscript genealogies of American families, and quite a large number in book form, expensively gotten up, with portraits, coats of arms and crests” — perhaps even including the notes from which Welles had concocted George Washington’s family tree.4 A newspaper account of the auction noted that the true value of all of these goods could be estimated from a single example — a genealogy drawn up on behalf of one William Augustus Martin of New York, showing that he and all the other American Martins were descended from the seventh-century Pope Martin I. “Who would not be a Martin?” the reporter wrote wryly — just as surely, in the mind of Albert Welles, who could envision an America founded by anyone other than a descendant of Odin?